Click the Download button at the top right to begin your download. It will only take minutes! Click Run when prompted. 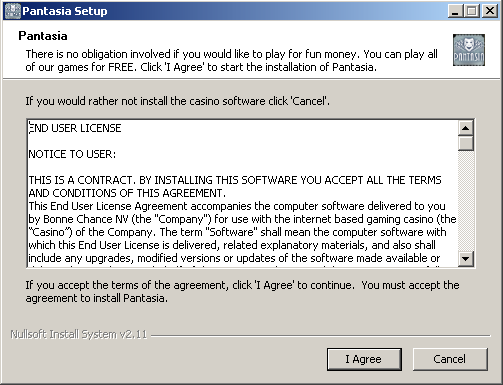 You may need to click Run a second time to start installing the casino. 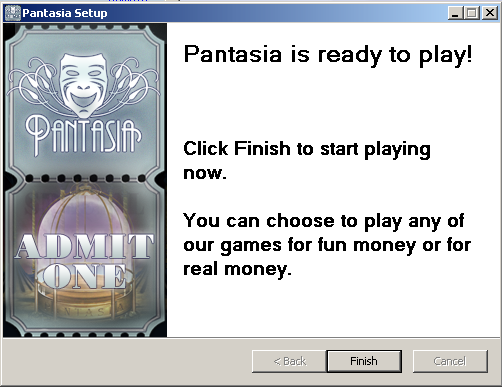 After you've clicked I Agree and Finish you can choose whether to play for real money or fun money. Cashier and make a deposit using your credit card or another of the safe and easy deposit options. the casino. If you need more help, don't worry. Our friendly customer support agents are standing by. Email our friendly agents at support@pantasia.com if you require personal help downloading. If you prefer to speak with customer support, you may call us at +5999 433 8828. 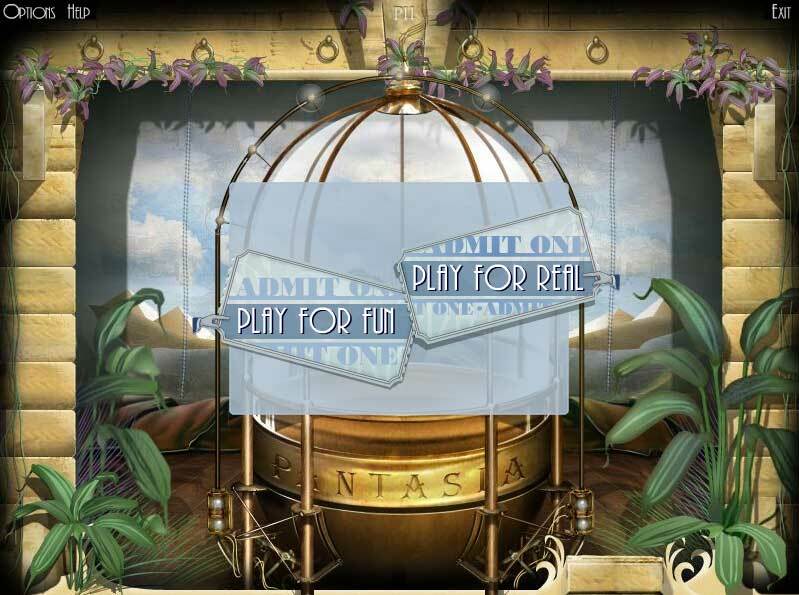 Click Play for Real or Play for Fun. That's it! You are ready to enjoy our 160+ games including the revolutionary i-Slots™! call us at telephone number +5999 433 8828.